2005 is looking likely to be remembered as the year of the piano. With countless artists tickling the ivoriesand Michael Nyman's back catalogue getting the attention it deserves, the piano has become the weapon of choice for the more mellow-headed leftfield. 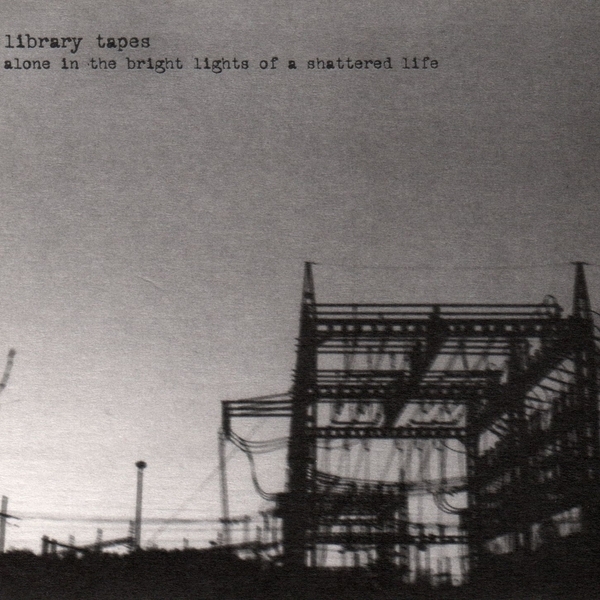 The latest to join the Liberace list is Swedish duo Library Tapes, whose debut album 'Alone In The Bright Lights Of A Shattered Life' lists Max Richter, Lunz and A Silver Mt. Zion as amongst their influences. Comprised of piano, acoustic/electric guitars, balalaika and the a trusty laptop, 'Alone In The Bright Lights...' seems to exist in a distant tundra, with the listener coaxed into embarking on a hugely rewarding journey. Whilst the stiff melodies of opening composition 'Broken Piano Pt.2' are draftily satisfying, it is '...in a safe place...somewhere near your heart...' that really establishes their sound. Not unlike a William Basinski piece, 'In a safe place...' takes an emotionally wrought piano and allows it to languidly meander over a stirring landscape of half-glimpsed sonic sturctures and soundscapes that can't help but make an emotional impact on this listener. Gorgeous.